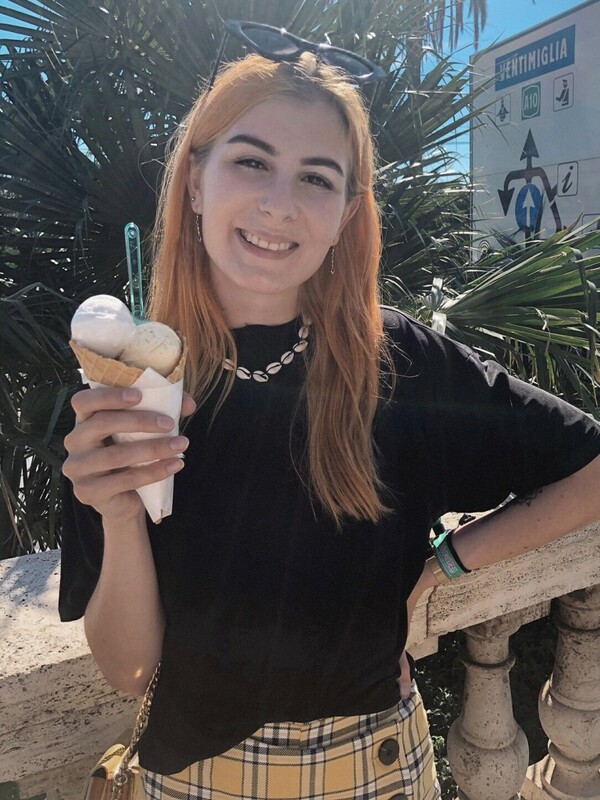 Over the last weekend of September, my boyfriend and I went to the Italian coastal town Sanremo (or San Remo), which is located in northwestern of Italy. Spaworld and the Royal Hotel Sanremo invited us for two nights (disclaimer: no cash flow, we paid the flight, for example, by ourselves). We flew over Nice, whose airport is the closest to the beautiful bay on the Riviera di Ponente. 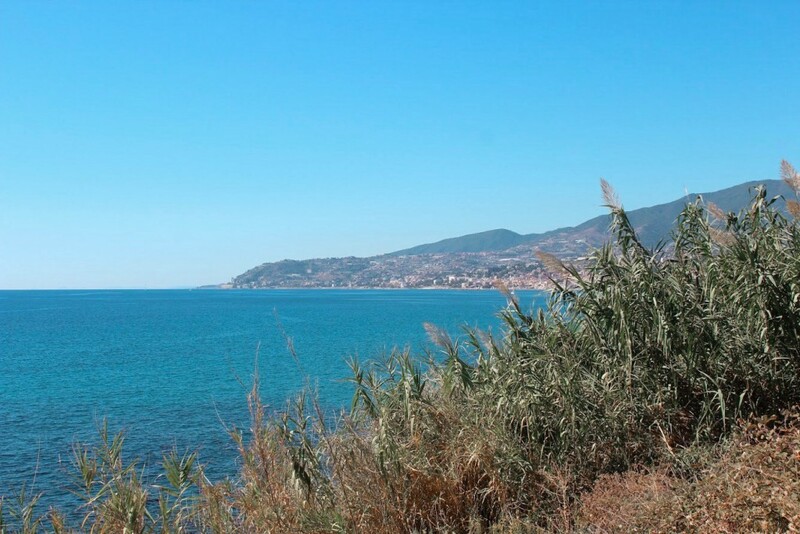 Sanremo is just 40 km from the French airport away, which is less than an hour’s drive by car. 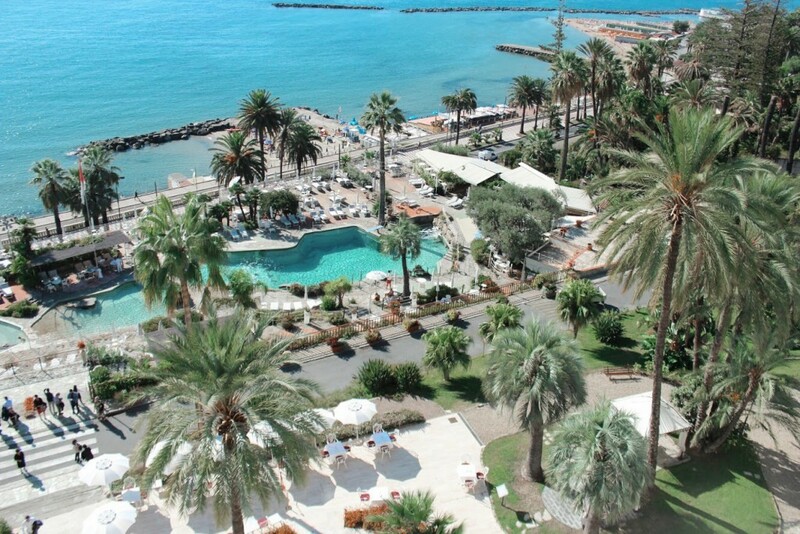 Sanremo has a mild climate year-round, making it ideal for the growth of more than 2,000 plant species. Not for nothing the coastline is also called Riviera dei Fiori, or in English the Riviera of Flowers. It is said that the most beautiful roses bloom in the gardens of Sanremo, unfortunately we were there in the wrong season to judge this for ourselves. But we saw a lot of other wonderful flower species. 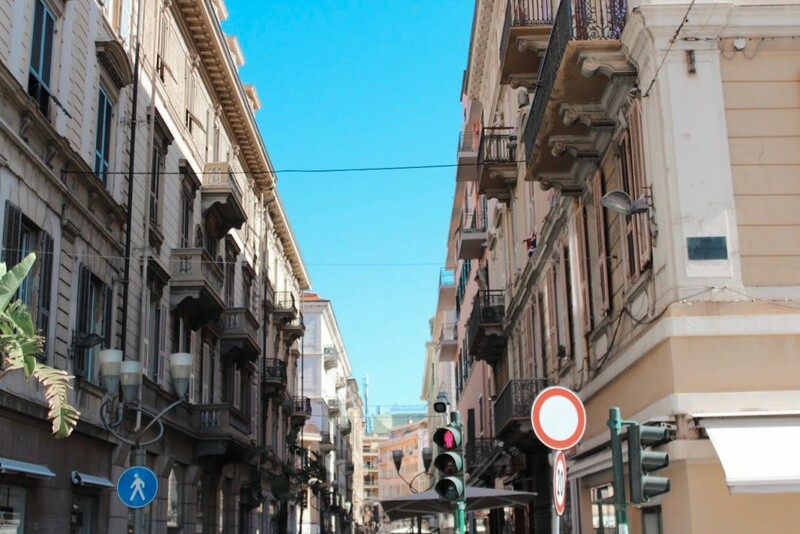 Sanremo has been the most prestigious resort on the Italian Riviera since the middle of the 19th century. High personalities spent their holidays in the picturesque city. Among other people, Empress Sissi was very often in Sanremo. 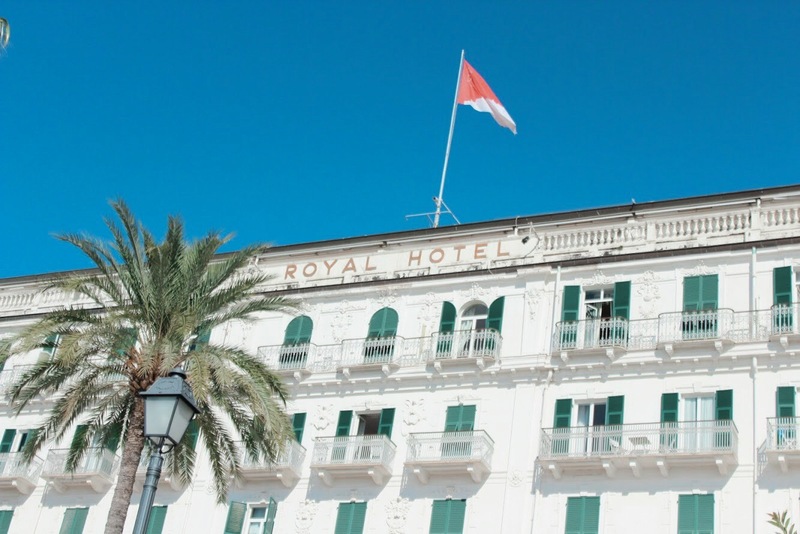 She loved to spend her time at the Royal Hotel Sanremo 5 Stars L. For that reason, even a suite was named after her. Unfortunately, Tristan and I did not sleep in this suite but in an equally gorgeous ocean view room on the top floor of this gorgeous hotel. There is almost nothing in the hotel, which will not surprise you. Let’s just take the spa area of the Royal Hotel Sanremo, this is partly in the vaults of the old wine cellar. Modern furniture meets rooms from bygone times. Just as I love to mix vintage and new in my outfits, I love this when it comes to interior design. In addition to the spa area inside, there is also a pool outside to relax. You can imagine that this is, like the spa area, just art. 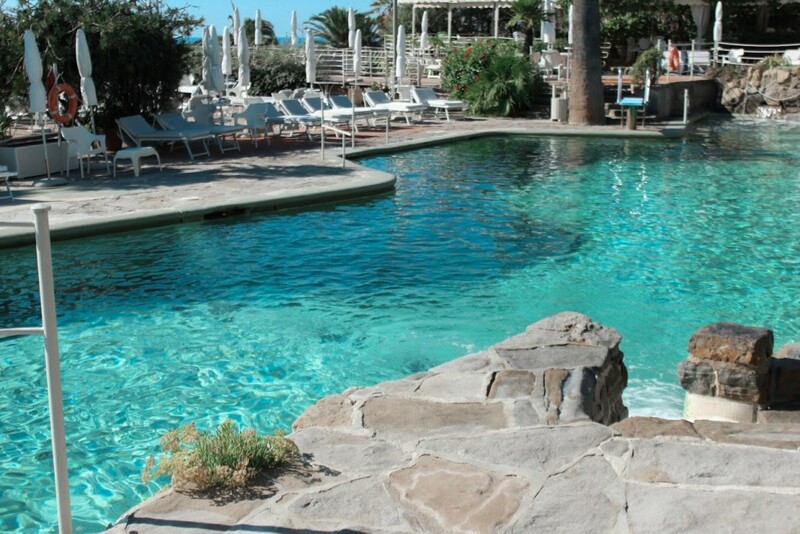 The heated (always 27 degrees) saltwater pool was designed in 1948 by the well-known architect Giò Ponti. Meanwhile, this is even under monument protection so I would say that you can call this very well, as just mentioned, art. We arrived by plane and paid about 100 euros per person. The flight took about 2 hours from Berlin and was quite pleasant. You can also travel by car, but I can probably recommend the way over the air most, especially since it is not particularly expensive. When we landed on time in Nice, we were directly welcomed by a very friendly chauffeur. With a super chic car we went to Sanremo. Once there, we had a small introduction by the lovely Monika. She had even created a daily program for our stay. It was not a duty, but the activities and the timing were so well chosen, we decided to do all of them. Already when we arrived we noticed how lovingly we were treated. I’ve been to some expensive hotels but never felt like home, just like on vacation. Here it was like being welcomed in a family. Anyway, after the reception we were first inspecting our suite. It was just “wow”. We had a large bathroom, a large bed and a large TV. Actually, everything was just pretty big. The best of the room was probably the balcony with the two beach chairs and the sweeping views of the sea. Since we arrived in the evening in Sanremo, we went straight to dinner. We were able to choose the dishes and opted for the recommendation of the day. For starters there was pasta with big prawns, for the main course a seafood plate and for dessert coco cream brulee (Tristan took a fruit plate for dessert). Actually we wanted to look after the meal nor the city. But we were so full that we fell asleep on the cozy bed. Shortly after midnight, we both awoke again and decided that the evening should not end yet. 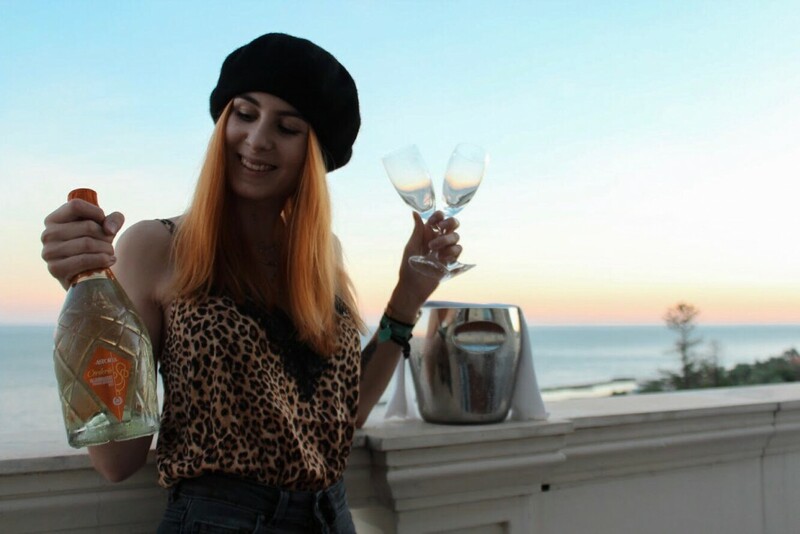 We took a bath and enjoyed a glass of champagne on the terrace. The next morning we started with a delicious breakfast. The selection was exquisite, there was a big selection. From sweet to salty, there is everything. After breakfast, which we were allowed to enjoy outside with a sea view, was a hotel tour. Among other things we were shown different room categories and reveal details about the hotel. What I find very cool is that the hotel has its own restaurateur for the old paintings. After a short break in our hotel room, Tristan and I started with a bike ride. Since the track is straight, it was not exhausting. About in the middle of our trip (in total we were 2 hours on the way) we sat down in a bar/café right by the cliffs. It’s called Moka Alfa Café and was recommended to us by an employee of the hotel. So we ate an ice cream with a great view. After we had returned the bikes, we wanted to go swimming. First we went to the sea (the hotel has a free private beach) and then to the pool. For most beaches, you have to pay admission, as they were specially created. The coast has, as I have seen that, not a natural beach but only rocks. We could not swim too long, as afterwards a spa treatment was booked for us. The treatment we received was called Nuvola Experiance. This was kind of floating, went 20 minutes and was very relaxing. After that we stayed in the spa area for a while. In addition to the jacuzzi and sauna, there was also a steam room and a sensory shower. After the spa stay we had to hurry up, because it was already time for dinner. On the second evening a special menu was on the plan, in each course was special olive oil from the region in it or on it. They started with carpaccio and parmesan cheese, then tortellini with zucchini sauce, then fish with potatoes and a chocolate cake for dessert. Also this evening we decided to go to the city, but since it was even more food than the day before we went streight to sleep in the soft bed. On our last day we started again with a fantastic breakfast. 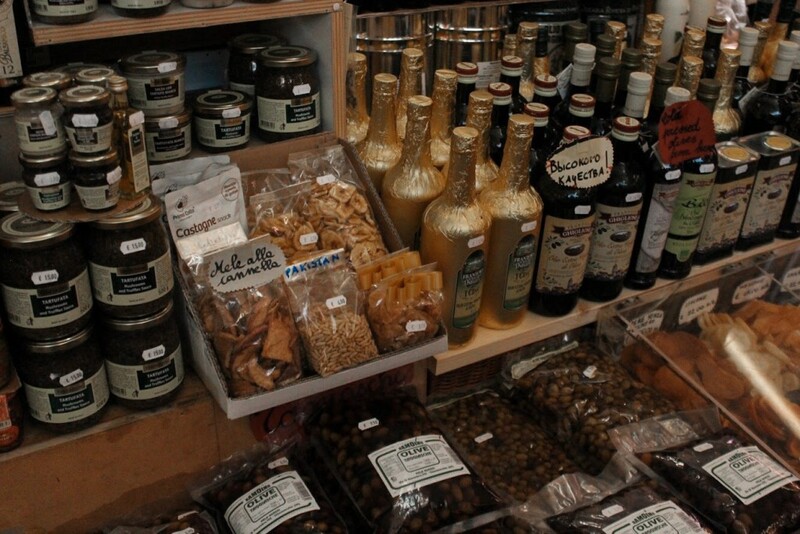 Then we went to the nearby market and stopped again and again in a shop. Since it was Saturday, stands were set up outside the market hall where food was sold. There were clothes, bags, peels, just everything you can imagine. Many things were fake goods, of course I let my fingers off. The only thing I took with me was a shell chain for one euro and a glass of fresh olives. On our way back to the hotel we enjoyed delicious ice cream and set on the stones by the sea. Unfortunately, unfortunately we had to go back to the hotel after this and pack our things. Shortly after 3 o’clock we checked out and waited for our transfer back to Nice airport. I know quality of this one is bad but it’s all about the ice cream! 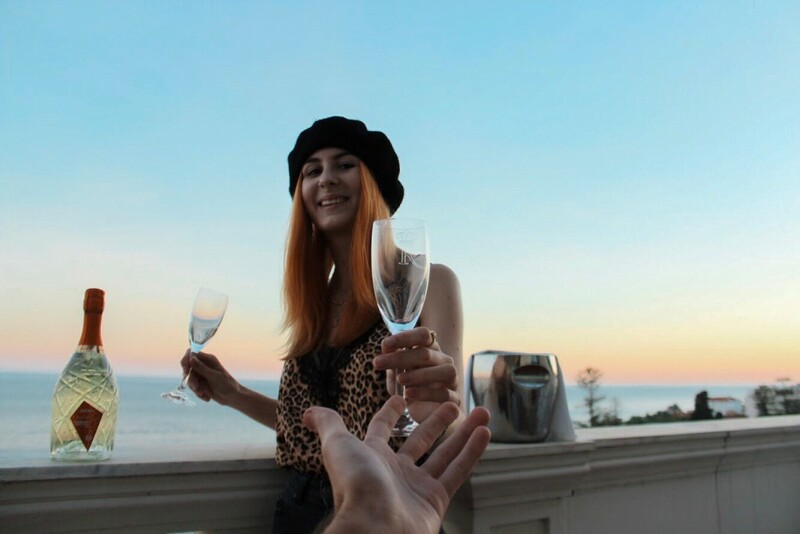 If you click on the picture you get to the outfit post – yes, with good quality pictures. The return flight had 1.5 hours delay and was a lot more unpleasant than the way to France. You get what you pay for and with EasyJet you just get the minimum of the minimum. At the port of Porto Vecchio (old port) and in Piazza Bresco (new port) you will find many pleasure boats, luxury yachts and trawlers. Very nice to look at and anyone who feels like going out to the sea by boat can simply rent one there. The old railway tracks along the coast have been converted into a bicycle route. You can drive 24 km through without being disturbed by cars. Along the promenade you can always rent bikes, we have done so. I can also recommend you to visit the market hall. This is open all week. On Saturdays are also stands outside where you can buy clothes and accessories. When you walk through the Gothic Porta di Santa Stefano, you will reach the old town La Pigna. A tight jumble of partially covered, small streets leads up a hill to the beautiful sanctuary Madonna della Costa. It reminded me a bit of Ibiza. In any case, the “climb” is worth the effort. You will be rewarded with a wonderful view. I especially liked the Russian Orthodox church Cristo Salvatore, which is located next to the Royal Hotel Sanremo. 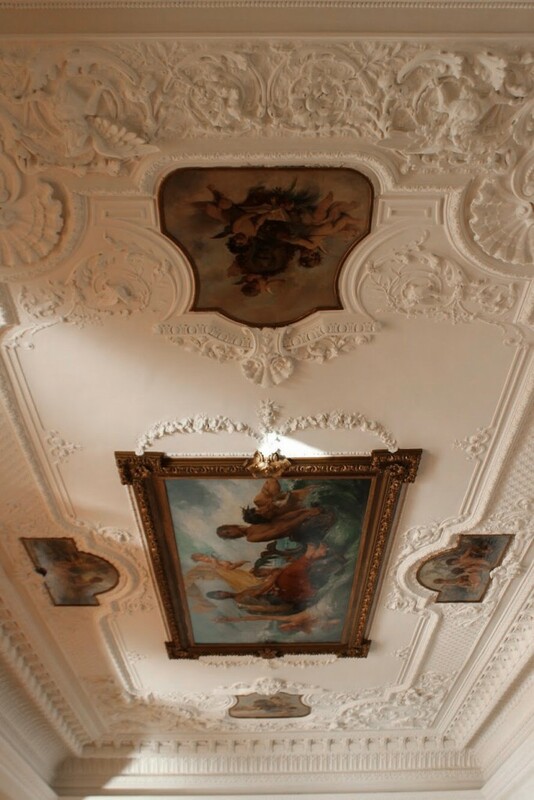 On the elegant Corso Matteotti 143 in the new center stands the magnificent baroque Palazzo Borea d’Olmo. 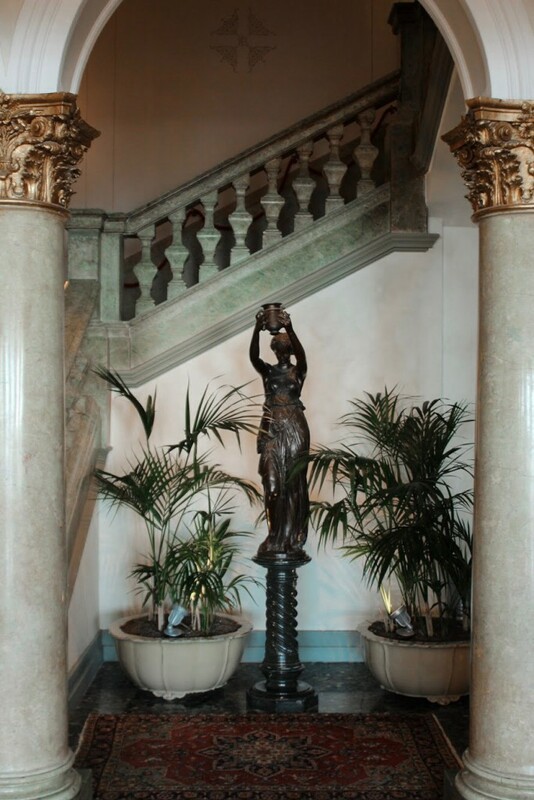 At Corso Cavalotti 112 stands the beautiful villa of the Swedish industrialist Alfred Nobel. To whom the name says nothing directly; Alfred Nobel was the founder and namesake of the Nobel Prize. You can also visit the villa. The Casino of Sanremo not only offers a great pastime but is also nice to look at from the outside. The view during our bike tour. I could write so much more about this dreamlike hotel and the equally dreamlike place but I think I wrote down the most important things. I also think that you should let yourself surprise a bit otherwise, if you already know everything, it’s kinda boring. 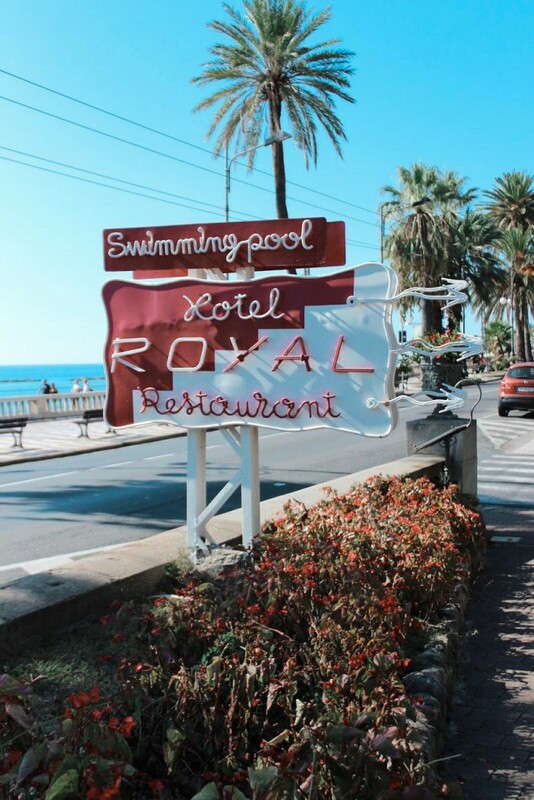 Sanremo is a place which I can recommend to everyone, as well as the Royal Hotel Sanremo. Especially people who are as interested in history as I am, will feel comfortable. It feels a bit like a time travel to the Belle Epoque. For me, I can say that I found my Happy Place and will definitely come back. If I had enough money I would buy directly one of the old villas and spend the winter in Italy.